Honey, just a delicious sweetener, or is that much more? Hair: Have you been out a lot during the summer? Is your damaged from the UV rays, chlorine and the humidity? Well, let's pop out a honey mask to bring some shine and to take care of those split ends you have. Mix 1 cup of water with 2 table spoons of apple vinegar, 5 drops of rosemary oil and 1 tea spoon of that delicious honey. Leave it in for about 10 minutes, rinse it off and welcome back shiny hair! Scrub: Personally I like scrubs with bigger beeds in them, it makes me feel like my skin is actually being cleaned. But some of you prefer scrubs with the tiniest beeds. Instead of going out to the store and buying one, why not make one yourself? At least you're sure of what you're putting on your skin, right? Take your lip scrub, add some lemon juice and apply it to your face. This will get rid of the dead skin cells and it will leave your skin as smooth as a baby's bottom. Breakouts: Honey is antibacterial which will take on the impurities in your skin. Redness will reduce when honey is applied to sooth the inflammation. Throat: If you mix some pure honey with water (and maybe a tad of lemon juice), this can soothe a sore throat. Bath: Did you know that legend has it that Cleopatra loved taking milk&honey baths? Milk contains AHA (Alpha Hydroxy Acid) which can make the skin more firm and smooth. 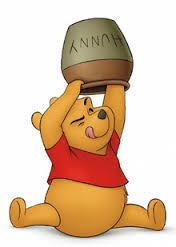 Honey contains enzymes will make the skin softer. Who needs fancy bath bombs if you can take a bath in Cleopatra style? Wax: Sometimes you just don't have the time to go to the beauty salon and get something waxed. You can make your own wax by mixing water, honey and brown sugar (lemon juice can be added if desired). Cook the sugar and water until it's caramelized, add the honey (and lemon juice) until it has reached it's boiling point. Set it aside and let it cool off before using it on your body. Scarves: Scarves, you're stuck with them for the rest of your life once they have appeared. Put on some raw honey, cover it with a bandage. Remove it the day afterwards and clean the skin. Sunburn: Although you should always wear sunblock before going out the door, a sunburn can always occur. Apply some honey to the sunburns to alleviate the pain. Moisturize: Add honey to some shea butter and you have just created your own moisturizer.